About one-third of all electricity produced at power plants in the United States is used in the home. 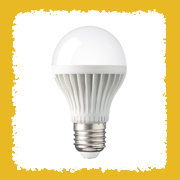 Families that reduce their electricity use by avoiding waste and buying energy-efficient appliances save money and help preserve natural resources used to generate electricity. Show your parents this list of ways to be energy-efficient and save money on your energy bills every month. Maybe you can persuade them to pass the cost savings on to you! Turn off lights when they're not in use. Set your heater thermostat to the lowest temperature that still keeps you comfortable—some recommend 68°F by day and a cool 55°F by night. Ask an adult to make sure the fireplace damper is closed when the heating system is on so heated air doesn't escape up the chimney. Keep your air conditioner's thermostat set at 76°F to 78°F to stay comfortable and use less energy. 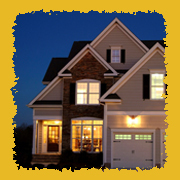 Close doors quickly when you enter or leave a house where heating or air conditioning is on. 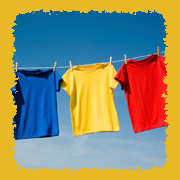 Use a clothesline when possible. Wash and dry full loads of laundry. Clean the coils on the refrigerator. Don't open the oven too often. Use the microwave whenever possible. Take shorter showers or half-full baths. Use buses, trains, and car pools. Most schools spend more money on energy than on computers and textbooks combined. Here's how you can help your school reduce energy waste. Pick an energy monitor to make sure lights and computers are turned off before recess, lunch, and after school. 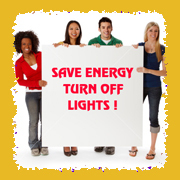 Create a "Save Energy" sign to hang near your classroom light switches to remind people to turn lights off when not in use. Make sure furniture or books do not block the vents in your classroom. 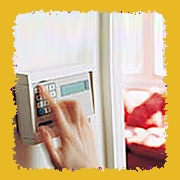 Encourage everyone to keep doors and windows closed when heating or air conditioning is running. Turn off the water in the bathroom when you are finished using it. 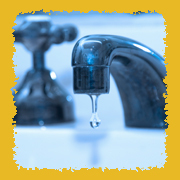 Report any water leaks you find to your teacher or school custodian.